St. Margaret’s Secondary School is located at 111, Farrer Road in Singapore 259240. It is part of the Holland- Bukit Timah Constituency. Holland Village is very popular for younger Singaporeans and expats. It is known for its eateries, cafes and waterholes. Nearest MRT are Farrer Road MRT, Tan Kah Kee MRT and Botanic Gardens MRT. Closest bus stops are Farrer Roads. Amenities in the area include Coronation Shopping Plaza, Holland Road Shopping Center and Tudor Court Shopping Gallery. 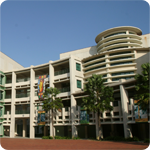 Some of the schools close by are Nanyang Primary School, Hwa Chong Junior College and Singapore Bible College.